Cute? You betcha! Always expect unexpected from Gwen Stefani’s style, like mat.. Cute? You betcha! Always expect unexpected from Gwen Stefani’s style, like matching classic chignon and double arching dutch braids weaved from the hairline all the way to the nape. Well lets be realistic, whenever she decides not to let her hair touch that lovely face, she is only doing her appearance a big favor. For DIY we warmly recommend at least a day old hair to avoid disobedient strands in braids. If this is not helping, take very small amount of hair conditioner, rub it between your palms and stroke the surface of your hair. Gwen Stefani’s straight, fine hair is styled in a whimsical updo consisting of tw..
Gwen Stefani’s straight, fine hair is styled in a whimsical updo consisting of two knots. The higher knot consists of a braid along the crown, and the other know consists of the rest of the hair and rests along the nape of the neck. 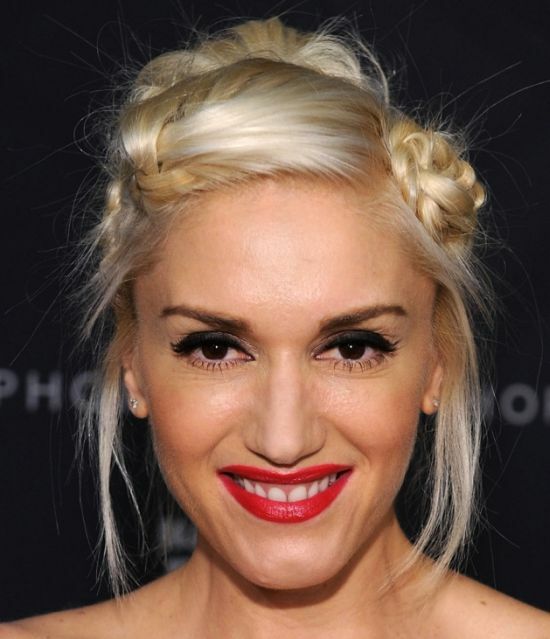 Gwen Stefani’s medium-length, blonde hair is styled in a half-up, formal hairdo. The top half of her hair was teased, smoothed, and secured in the back. The length of her hair was turned under neatly. 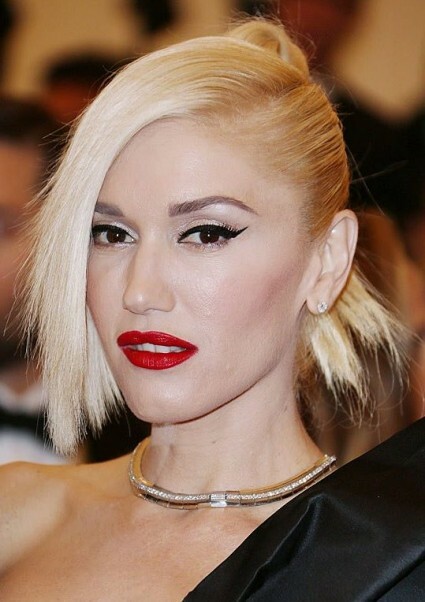 Gwen Stefani’s platinum blonde hair is styled in a bouffant updo. 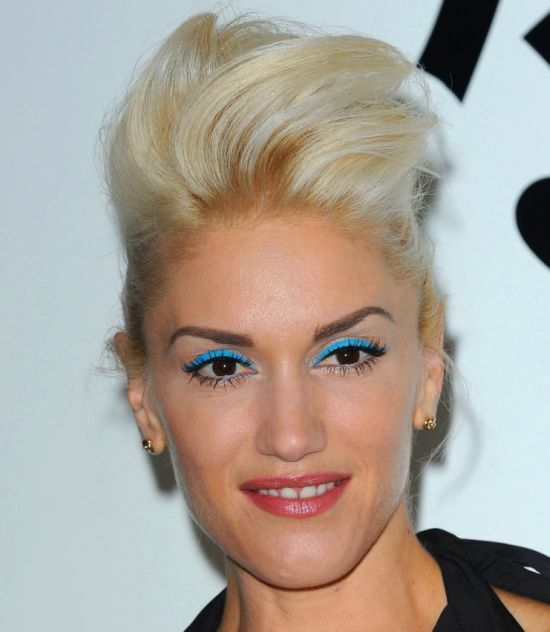 This edgy look..
Gwen Stefani’s platinum blonde hair is styled in a bouffant updo. This edgy look is perfect for a party. Gwen Stefani’s platinum blonde hair is styled in a whimsical updo consisting of..
Gwen Stefani’s platinum blonde hair is styled in a whimsical updo consisting of twists and braided buns. This fun hairdo is perfect for prom. Gwen Stefani’s platinum blonde hair is styled in a medium-length, layered hairst..
Gwen Stefani’s platinum blonde hair is styled in a medium-length, layered hairstyle with side bangs. A bump is created by teasing hair at the crown in this voluminous look. The word boring is definitely not in Gwen Stefani’s vocabulary. The singer no do.. The word boring is definitely not in Gwen Stefani’s vocabulary. The singer no doubt looked like a punk-meets-futuristic glamour-puss in this unique updo.